While Ashland was never a plantation in the sense of the cotton and sugar producers of the deep south, it did have a significant cash crop: Hemp. Henry Clay grew thousands of pounds of it and primarily had it manufactured into rope and bagging for the cotton industry. He was also very interested in experimentation and pursued many new innovations in equipment and varieties. Clay’s opinion and expertise were highly sought on many agricultural topics including this one and he wrote a chapter in an 1837 agricultural textbook on the subject of Hemp production in which he detailed his operation at Ashland. Hemp was a principal element of Henry Clay’s personal economy and as a result influenced his public career. Clay was a staunch advocate of American Hemp and wanted it be used exclusively by the US Navy and to be the primary product in the US marketplace. Ideally, he wanted that American hemp to be Kentucky hemp, Lexington hemp, and Ashland hemp. This contributed to several planks in his political platform called the American System. Henry Clay found that one challenge to selling hemp nationally was that is was difficult to get it far off markets. Clay came believe that the federal government should invest in internal improvements or roads, bridges and waterways to move goods including hemp and people more easily about the country. Clay also recognized that foreign competition was a problem for American farmers and manufacturers and supported tariffs to protect American good from foreign competition. One commodity that Clay was most concerned about was hemp, Russian hemp was dominant in American markets so Clay advocated for a tariff on it. 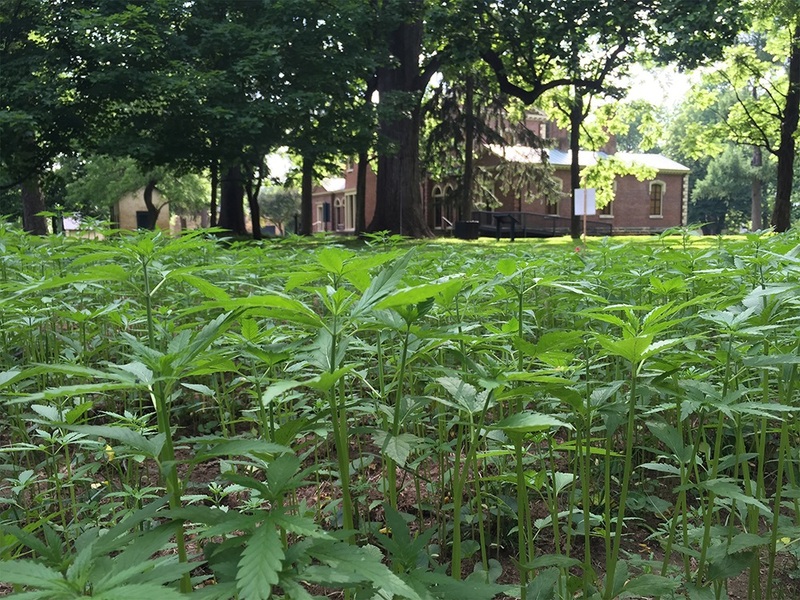 For the first time over 135 years Hemp is being grown at Ashland! Thanks to the efforts of the KY Hempsters and the University of Kentucky College of Agriculture with the approval of the Kentucky Department of Agriculture, Ashland plot is growing well. Check back often for updates!